Other Common Names: Flammulated Screech-Owl; Flammulated Scops Owl. Subspecies: There is only one recognized race of Flammulated Owl. There are several races described although they have not been verified. 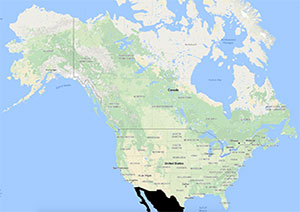 Some of these that may come about are: the longer winged population in the north part of the range, separated as idahoensis, darker birds from Guatemala as rarus, (winter specimen thus invalid), meridionalis from S. Mexico and Guatemala, frontalis from Colorado and borealis from C. British Columbia to N. E. California. Flammulated differs from others of the genus Otus, in that it is lacking a typical trill song. Wingspan: 14 – 19 in. Length: 6 – 7 in. Average Weight: Male: 1.9 oz. Average Weight: Female: 2.0 oz. 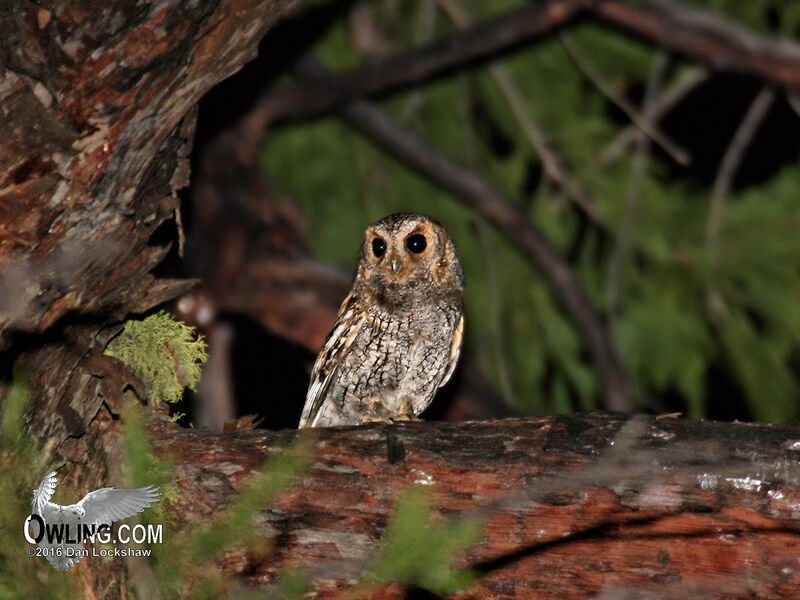 Description: This is North America’s smallest eared owl (same length as the Pygmy-Owl and weighs less). There are two morphs, gray-brown and rufous but there are many intermediate forms. The coloration is often individual although in general the gray morph is in the northern portion of its range and rufous morph is in its southern range. 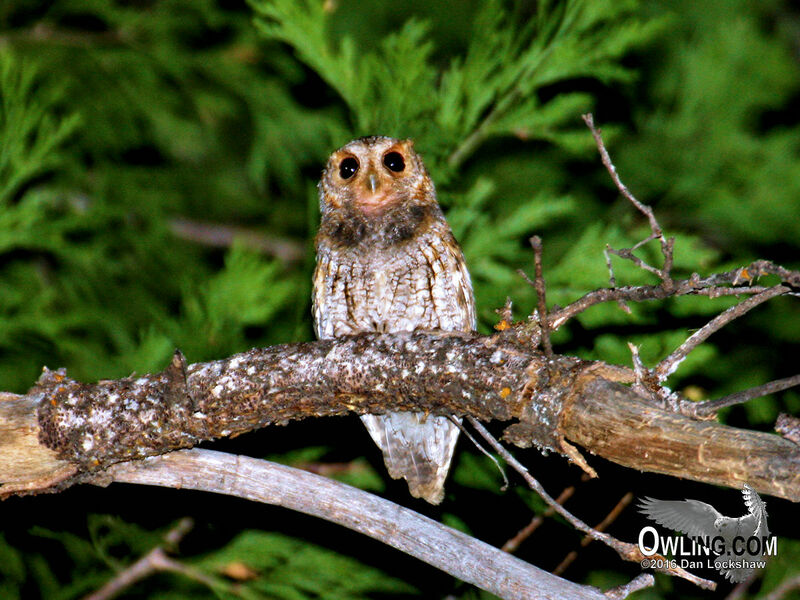 The Flammulated Owl is the only small owl with dark blackish-brown eyes (all other small owls have yellow iris), making it very distinctive. The facial disk is pale gray with rusty brown around the eyes, boldest between the eye and white eyebrows that start at the bill and wrap around into the forehead. This makes the eyes look deep inset into the facial disk. The chest is light-gray with deep-brown or black streaks, a splash of cross barring and dark mottling with intermittent rust along the chest. The backside is darker grays and browns, mottled with grayish-horn to gray-brown. In the red phase the grays are largely replaced with a rusty rufous. The sexes are alike. 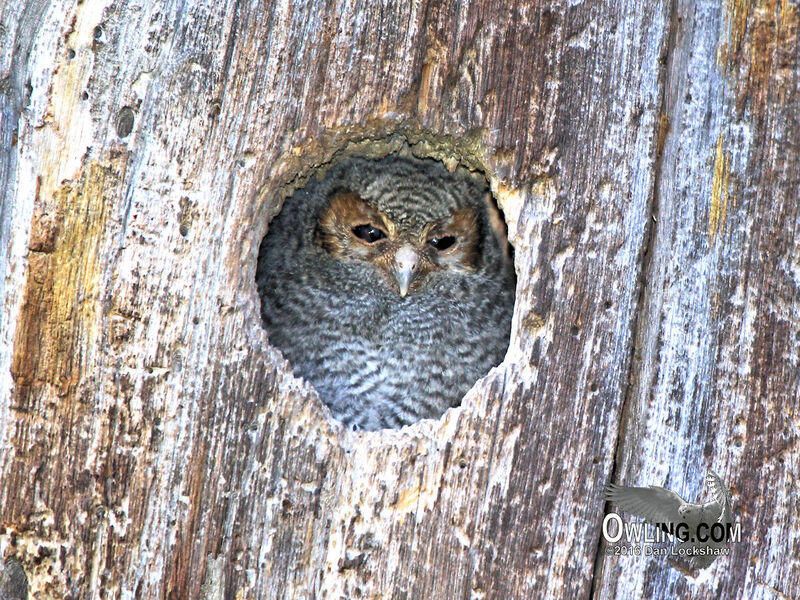 The ear tufts are smaller than in the Screech-Owls (the Screech-Owls were formerly classified in the genus Otus with the Flammulated Owl). Young: The upper parts of the juvenile are barred with gray and dusky. The under parts have a dull white or grayish-white base barred with a rusty-gray or grayish-rust color. The Flammulated Owl is generally associated with montane forested habitats often with brushy understorey. The favored areas ore aspen, ponderosa, and Jeffrey Pines where the summers are dry and warm, and there are available nesting cavities usually made by Northern Flickers and similar sized woodpeckers. May also occur in forests with mixes of oak, Douglas Fir, white fir, incense cedar, or sugar pine. A major factor determining habitat selection may be also related to temperatures with upper elevational limits set by low nocturnal temperatures and lower elevational limits set by high daytime temperatures (or humidity). 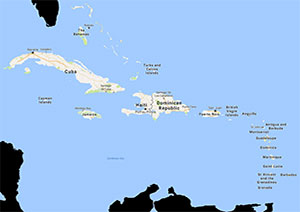 Habitats in southern territories may be of greater altitude. The Flamm. also seems to be somewhat colonial, congregating in breeding populations limited to one area with adjacent areas of optimum habitat having no birds present. The Flammulated Owl is usually exclusively an insectivore, with only a few records of prey other than insects (small mammals, birds, or lizards) being taken. Their diet includes moths, beetles, crickets, grasshoppers, caterpillars, centipedes, millipedes, spiders, and scorpions. Their prey may be taken at the ground, among foliage, and often in the air. The Flamm. is distinctively nocturnal although it is thought that the majority of foraging is done at dawn and dusk. Most nest sites are in woodpecker holes or natural tree cavities (nest boxes will be used). The laying of eggs happens from about mid-April through the beginning of July. Generally 2 – 4 eggs are laid and incubation requires 21 to 24 days, by female and fed by male. The young fledge at 21 -25 days, staying within about 100 yards of the nest and being fed by the adults for the first week. During the second week the young begin to learn to forage, still supplemented by the adults. The young become independent after about 5 weeks of age. 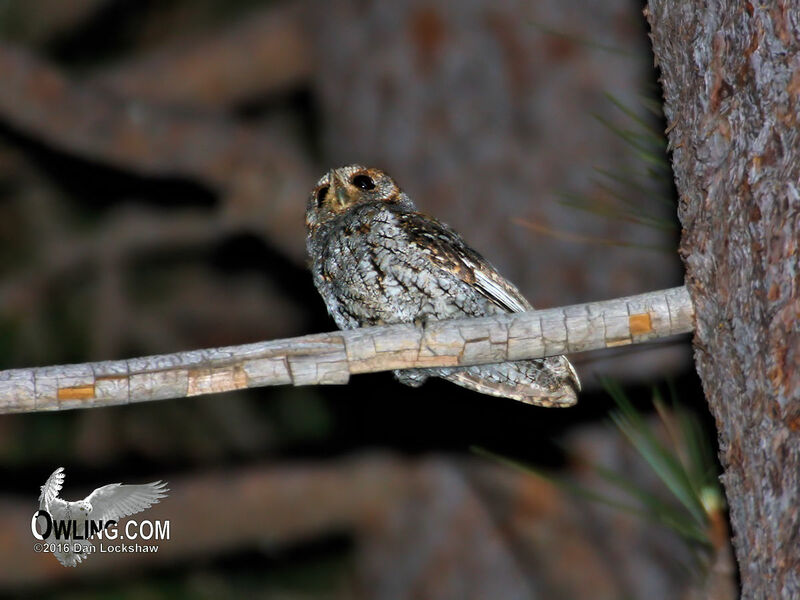 The Flammulated Owl is one of the most migratory owls in North America. 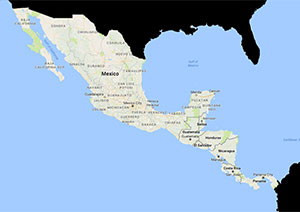 It is believed the birds completely leave North America for Central Mexico to Guatemala each year (3 known winter records in North America, 1 of which is from 1885). It is interesting that with such lengthy migrations the breeding site fidelity is high, nests are often used for multiple years and there is no evidence of divorce (if a mate is lost during the winter, remarriage occurs with another widowed owl). Although the maximum recorded age for a wild owl is only 8 years, 1 month, their life span is probably longer than this.